For many Californians, last year’s wet winter triggered a case of whiplash. After five years of drought, rain from October 2016 to February 2017 broke more than a century of records thanks to a series of “Pineapple Express” storms, referring to atmospheric rivers that ferry moisture from Hawaii to the Pacific Coast. In San Francisco Bay, Smithsonian Environmental Research Center biologists discovered a hidden side effect: All that freshwater rain can turn the tables on some of the bay’s invasive species. “As you get wetter and wetter, there are fewer and fewer [marine] species that can tolerate those conditions,” said Andrew Chang, lead author of the new study published Dec. 7 in Global Change Biology. 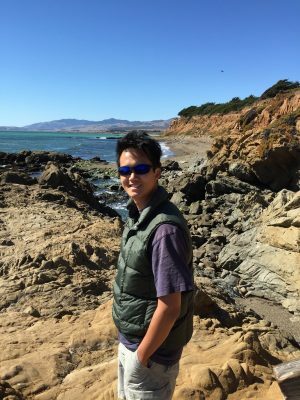 Chang, a marine biologist at the Smithsonian Environmental Research Center’s branch (SERC-West), has been watching San Francisco’s invaders since 2000. He’s especially interested in the fouling community, underwater creatures like tunicates and bryozoans that grow on boats, docks and fishing and aquaculture equipment. Though some of them can look stunningly beautiful underwater, they are less attractive when they clog fishing gear or ruin nets. Some species, Chang has noticed, need a salty bay to survive. When a wet winter sends massive surges of freshwater into the bay, those organisms start to suffer. And last winter may not have been a fluke: Those kinds of extremes—years of deluge and years of drought—are already becoming more common as climate change accelerates. In the past, scientists have generally tracked how shifting weather patterns impact a single species. In the new study, Chang and the center’s Marine Invasions Lab examined how San Francisco’s fouling community as a whole changed over 13 years of wet, dry and moderate weather. 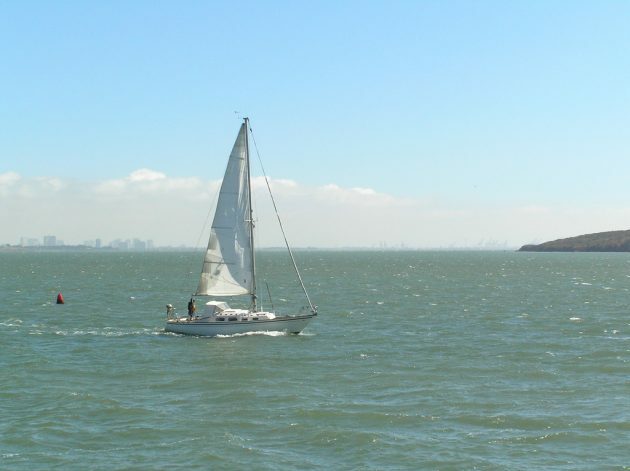 Starting in 2001, the team tracked the growth of these species in Richmond Marina, a mostly saltwater marina in northeastern San Francisco Bay. They suspended square PVC panels from docks, where they remained underwater for one month, three months or, starting in 2004, three to five years, collecting all kinds of colorful marine life. During dry years, when bay waters remained salty, one invader dominated above all others: the invasive tunicate Ciona robusta. A translucent, vase-shaped filter feeder from Asia, Ciona has invaded five continents, including North America’s West Coast. It has a reputation for crowding out other species, thanks to its rapid growth, and similar Ciona species have thrown a wrench into shellfish aquaculture. 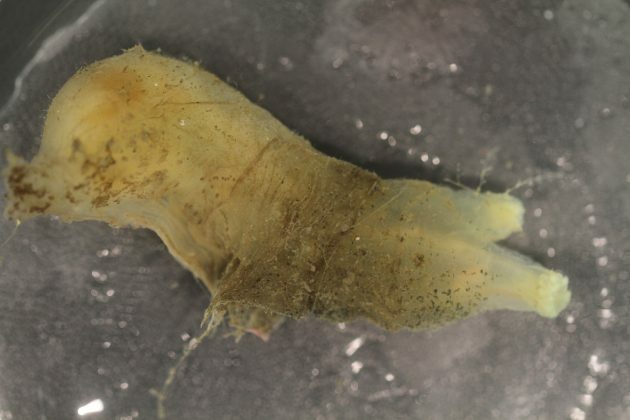 But when the wetter winters of 2006 and 2011 hit, Ciona and other solitary tunicates like it were unable to cope with the massive influxes of freshwater. In their place, mat-like colonial tunicates and encrusting bryozoans took over. To confirm that wet weather was indeed behind the species switch-ups, Chang’s team ran an experiment in addition to the 13-year field surveys, taking panels from the marina and exposing them in lab to near-freshwater (wet year), near-oceanic saltwater (dry year) or medium-saltwater (moderate year). Marine life on panels exposed to the fresher “wet year” water suffered near total mortality. When they put the panels back in the marina and pulled them up eight weeks later, an entirely new suite of species had colonized. By contrast, species on the medium- and high-saltwater panels barely suffered at all. As Chang sees it, freshwater years reset the system—a situation that could work to the advantage of some of the invaders. “If you’re a new invader arriving to San Francisco Bay, for example, what better time to come in than right after a wet winter has killed off most of your potential competitors?” he said. Many of the new species, like colonial tunicates and encrusting bryozoans, are non-native. However, Chang’s team noticed a couple native species did better in wet years too. This suggests with the right strategy, managers could use the situation to help native species instead. According to Chang, that action could involve addressing boat traffic—one of the key ways invasive species arrive in San Francisco Bay—or other tactics to pump up native species or ensure invasive ones stay low. San Francisco almost certainly has not seen its last rainy winter or its last drought. What extreme wet years offer, biologists suggest, is a window of opportunity. When a dominant invader like Ciona gets cut down, it could be a godsend for another invader, or a new shot at life for some of the bay’s struggling natives.